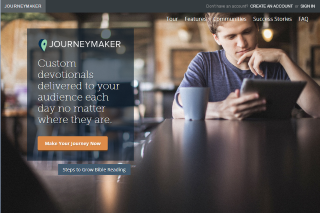 All of our Bible tools offer the easiest way for you to encourage your site visitors and users to read the Bible. 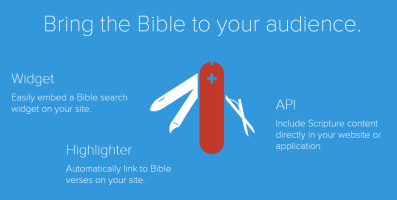 Choose from these 3 free tools: Widget (embed a Bible search widget), Highlighter (automatically link to Bible verses), and API (include Scripture content directly in your web app). 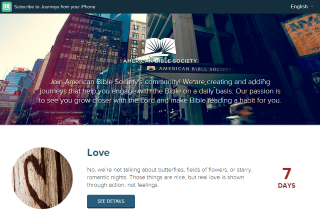 American.Bible is the website that features the ministries of American Bible Society. 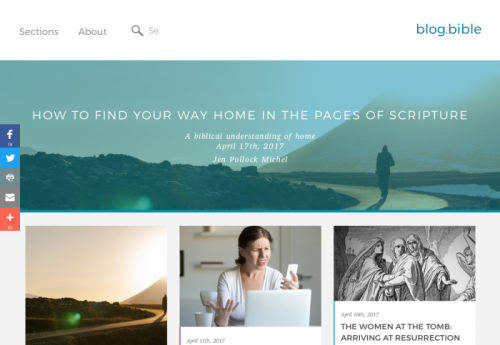 At blog.bible, you’ll encounter practical ideas and guidance to help you engage deeper with Scripture. A website for the curious and thoughtful, looking for insight into this great big mystery called life. Created by a diverse group who believes that, when engaged thoughtfully, the Bible can be one of the most exciting, surprising, and life-giving books in the world. Whether it’s a daily or weekly e-mail Bible study, audio, print or a text message, everyone can explore the eternal truths of the Bible in a Scripture-based Journey. Covering a variety of topics, Journeys make the Bible relevant to everyday issues and challenges. With this free tool, you can create a series of Scripture messages and share it with congregations, small groups and Bible studies. Choose your topic, set a schedule, your Bible version or translation, and deliver by e-mail or SMS text. 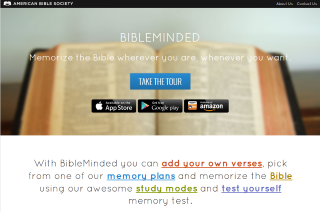 Through the BibleMinded app, Scripture memorization is easier than ever, allowing people to access pre-selected memorization plans or build their own. Available for free on iOS and Android! 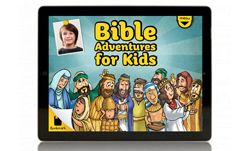 With the Bible Adventures for Kids app, children can interact with Bible stories on iPads, Kindle Fire and mobile devices. The app, designed for kids ages 4 through 7, is now available in English and Spanish and has a read-along option. 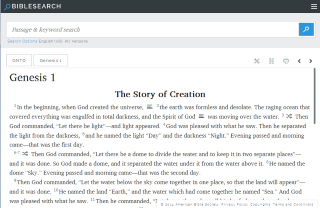 Finding specific Scripture passages and references is made easier with this digital tool, which searches the Bible in more than 500 versions and more than 400 languages. 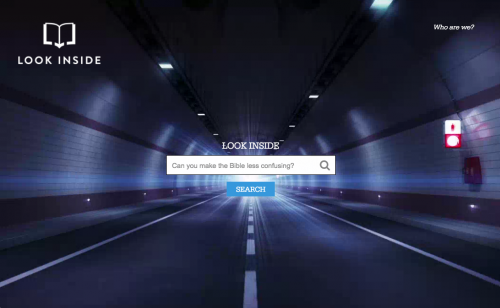 With this free tool, you can create a Bible Search box for your web site. Choose your size, color and whether you want the results to appear on your own site, BibleSearch or on Bibles.org. 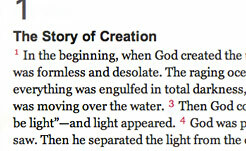 The Bible Highlighter defines a new html tag for your website. Anytime you use it, the book, chapter and verse reference in the tag becomes a clickable link that highlights the referenced Scripture in context. The BibleSearch Application Programming Interface (API) allows developers to include Scripture anywhere in their website or application for noncommercial purposes. 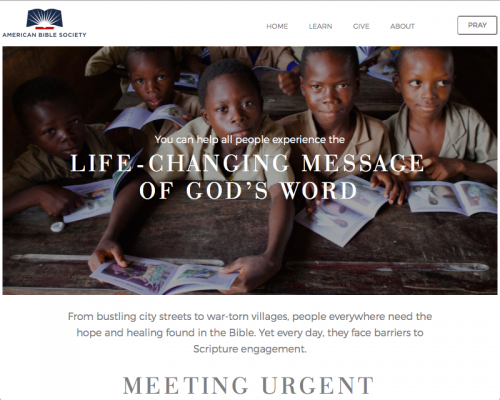 Connect with American Bible Society on social media and its digital ministries – to help 100 million people actively engage with the Bible and to open 100% of languages to Bible engagement around the world. Learn about the work of American Bible Society, read stories of life change and engage in God’s Word daily. Simply posting God’s Word every day. Encouraging the Church to pray for each other. Learn about resources that support military teens as they seek to follow God. This is your digital space for engaging God’s Word. Sometimes image is everything. Follow our inspirational boards and repin your favorites. Listen to audio files to help you connect with the life-changing message of God’s Word. Daily Bible Reading - Enhance your daily Bible reading with a daily devotional keyed to each day’s reading. Bible Resource Center has a large collection of articles, study guides, church resources and more about the Bible’s books and topics, people and nations. Mission Trauma Healing equips local people, churches and NGO’s to care for the broken and afflicted who suffer severe wounds of the heart and spirit in the aftermath of conflict, disaster or abuse. State of the Bible (TheStateoftheBible.com) - American Bible Society releases in-depth findings from its annual State of the Bible survey. Lectio Divina is a weekly framework for a faithful and respectful reading of the Bible, coordinated with the Catholic lectionary calendar.